Get contoured comfort and optimum ease of use with the V7 Standard USB mouse. Its plug-and-play functionality provides simplicity, while V7's sleek textured plastic provides maximum precision with minimal mouse movement. 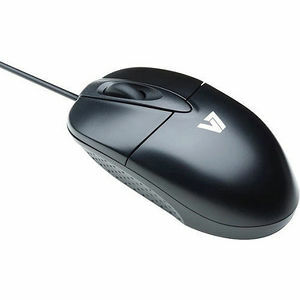 The mouse is 100 percent compatible with Windows 2000/XP/Vista or above and features 1000 dpi resolution with a comfortable built-in scroll wheel.